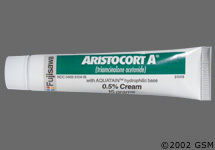 Topical corticosteroids are used for a variety of dermatological conditions – dermatitis (atopic eczema), psoriasis, or in conjunction with anti-fungal agents for severe tinea. There is a confusing array of topical steroid preparations available in Australia. The question is which to use, and when. Potency is dependent on the type of corticosteroid, the vehicle it is applied with (i.e., lotion, cream or ointment) and whether an occlusive dressing is used. Potency is directly proportional to the risk of side effects associated with their use. It is preferable to use the lowest potency agent required to effect treatment. As medical students and doctors we know that obesity is bad. It leads to all sorts of problems – hypertension, hypercholesterolaemia, diabetes, ischaemic heart disease (and other vasculopathies), arthritis, obstructive sleep apnoea, gastro-oesophageal reflux disease. Certainly there is a much higher mortality and morbidity associated with being overweight or obese. We have been aware of the term “metabolic syndrome” (also known as syndrome X, insulin resistance syndrome) since the 1970s. This is characterised by a group of metabolic risk factors in one person leading to an increased risk for diabetes type II, and for vascular disease such as ischaemic heart disease or cerebrovascular disease (1) (2). The biological reasons for why it occurs is poorly understood, however we are aware that abdominal obesity and increased insulin resistance plays a key factor. For better or worse, general practitioners who chose to run a bulk billing practice must wade through the arcane tome that is the Medicare Benefits Schedule (MBS). Despite Medicare Australia’s attempts to make this volume “user friendly” with copious indices, colour coding and cross-referencing, it is nevertheless futile using it to find an item number on-the-fly. Although the MBS has now been released on-line, I still find it next to useless given its primitive search capabilities.